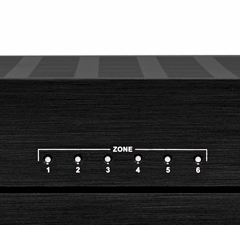 We offer powerful 2-channel amps that are ideal for music systems, distributed audio, outdoor audio, or as a dedicated power amp for home theaters. 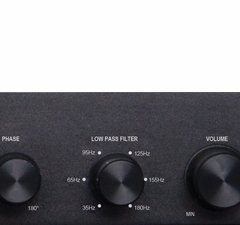 One of our best sellers, the 4-channel AMP300 high current amp is priced under $300. 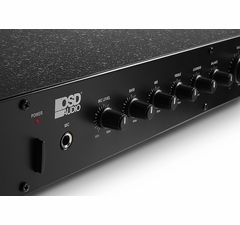 Weighing in at over 40 pounds, this heavy-duty monster of an amp is remarkably thin for its power rating and perfect for use as a remote amplifier or as a single or dual zone amplifier. 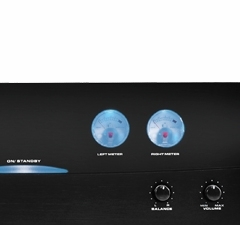 With its cobalt blue accent lighting and built-in voltage meter, customers love the look and feel of this amp as well. 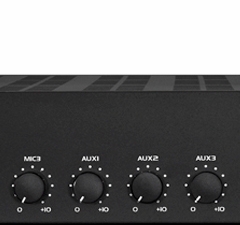 Ask anyone who's purchased one of our home theater amplifiers and they'll rave about the performance, sturdy construction and style, but most of all they'll rave about the price.